Hello and Welcome, Sweet-Creation Cakes started out many years ago, as Nicola Tomkinson (Creative Director of Sweet-Creation) making cakes for her friends and family, as word spread about how beautiful and unique each of her creations were, Sweet-Creation Cakes was formed and is now your friendly local cake creation business, who is well known in the area and always comes highly recommended. We now operate from our purpose designed workshops in Quatermaine road, Portsmouth. Each of our cakes are hand made with only the best ingredients and taste just as amazing as they look, We regret that all are cakes are made to order and whist we will do our best to accommodate your requirements we don’t freeze or hold cakes in stock for immediate collection. You could have any style of tiered wedding cake, celebration cake, cupcake, number cake, picture cake, mini or giant cupcake, Castle cake or another creation from subtle contemporary designs through to totally outrageous ones! We are always eager to get our creativity flowing and push the boundaries of cake making. 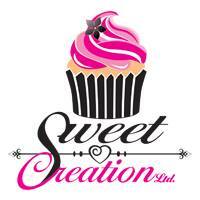 Sweet-Creation can create your cakes in a vast range of sponge flavours, from basic Vanilla to Chocolate & Fruit cake. With a combined filling of your choice with Jams & butter creams or chocolate ganache. If you have something specific in mind, please do share your ideas and we will be happy to incorporate them into your design. Please feel free to browse through a selection of the many cakes we have created in our Gallery. Please contact us as soon as you can with your requirements to ensure that we can create your perfect cake in time for your occasion. We are regularly inspected by the Environmental Health Department to ensure we comply with all the necessary regulations. We have been awarded 5 star food hygiene certificate from the food standards agency. If you wish to order a cake or chat about a design please contact Nicola via the “Contact “ page. Or if you prefer to call us, please leave a message and we will get back to you shortly.